FXpansion, the makers of BFD and Guru, have released a new bundle of virtual instruments called DCAM:Synth Squad. I've been using the package for a number of weeks and have a good feel for a majority of the features. In this review I’m going to offer a high-level overview of the elements that make up Synth Squad, and highlight some features that make DCAM: Synth Squad stand out from the crowd. I’ll offer my impressions about usage along the way. Note that this review is over 2,300 words and I barely scratch the surface of the the features within DCAM: Synth Squad – it’s a huge feature rich package. WHAT IS DCAM SYNTH SQUAD? Fusor – A sound design rack to hold three instances of any combination of the Strobe, Amber, or Cypher. 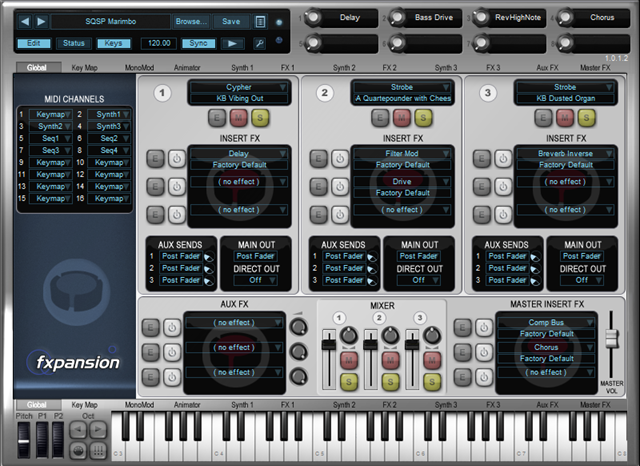 Fusor also includes digital FX, global modulation capabilities, as well as a step-sequencer/arpeggiator. The DCAM synths are not just emulations of analog synths from days past. While FXpansion did analyze old analog synths from each class of synth represented in SynthSquad, they didn't simply model the output of these synthesizers. Instead they modeled components within circuits and they then created new instruments using these components. The end result is a fantastic set of rich sounding instruments with analog character but with modern interfaces. 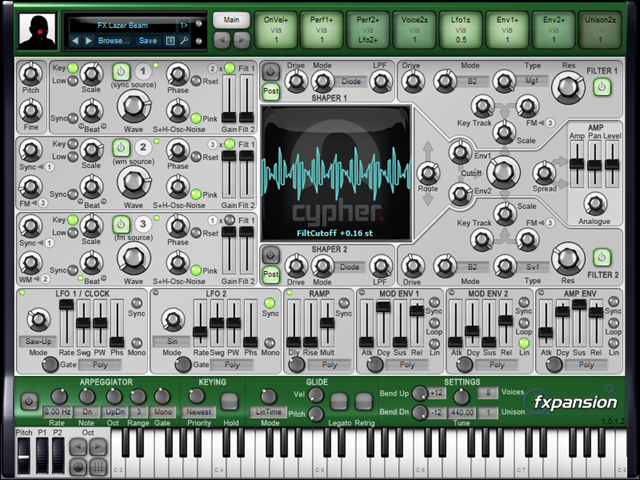 FXpansion made a wise decision to create three single-page interface synths with a sound design rack (Fusor) synth rather than some monster synth with a multi-page interface. As a result controls on the synths themselves are very focused for the type of synthesis at hand which makes programming more immediate. While you can use Fusor to setup splits/layers, map global modulatators, insert FX, and trigger notes and modulation via a step-sequencer/arpeggiator – you can also insert each individual synth directly into your host application. 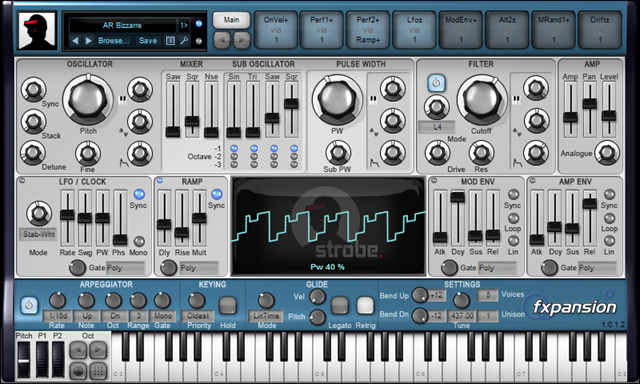 Strobe is a modeled analog synth. According to FXpansion’s web site, the goal was simplicity and immediacy in the same style as say a Roland SH-101. It’s signal path is Oscillator, Filter, Amp with LFO, Ramp, and Mod/AMP Envelopes. Clocks can be synced to host and envelopes can be looped and segments can be set to linear or curve. 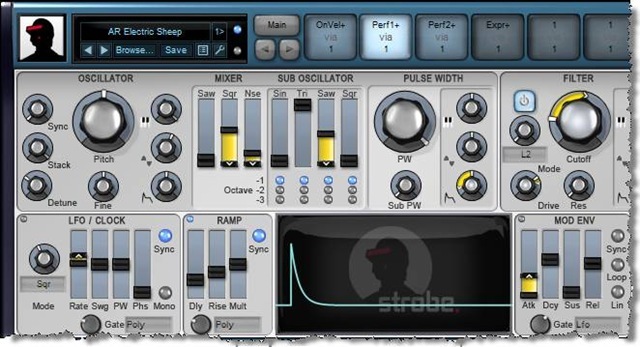 While it has only one oscillator it has a clever system that allows you to use sliders to blend saw, sine, square, and noise together to create new waveform. 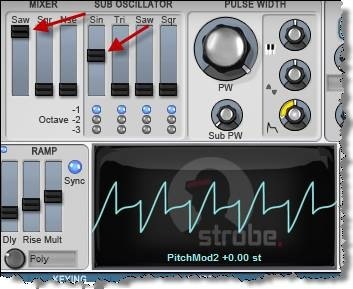 You can also modulate the sliders to automate changes in waveform shape in real-time. As you manipulate the sliders you'll see the resultant waveform appear in the visualizer in the center of the interface (more on visualizer later). I really like this approach to creating waveforms. 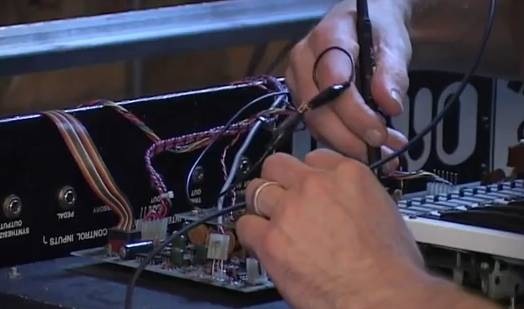 It seems easier and more immediate to get a predictable result than trying to use – say – a two oscillator synth to blend a square and a sine together into a resultant waveform. 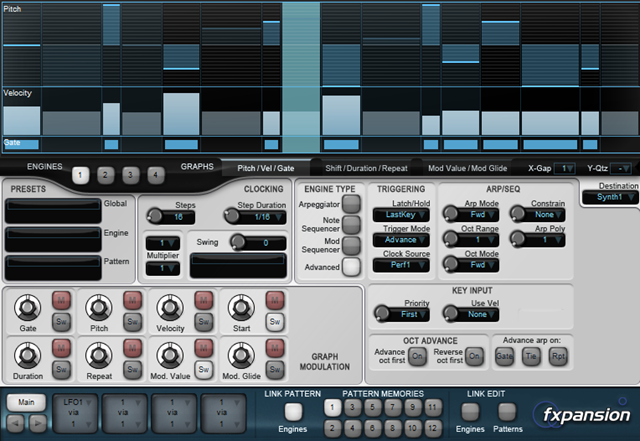 It has a basic arpeggiator, as well as other parameters for things such as glide. While they call it a monophonic synth, you can actually turn it into a polyphonic synth by simply increasing the ratio of Voice to Unison. For example, with Voices at 16 and Unision at 2 you get 8 note polyphony. Some features that make up the interface are shared among all of the Synth Squad Instruments and I will cover these later in the review. 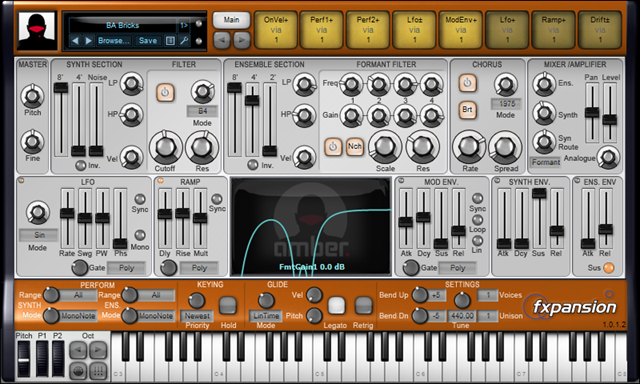 Amber is string ensemble synthesizer emulation that uses divide-down synthesis to achieve 96 note polyphony! These are 'paraphonic notes', which are mixed down into a single signal which is routed through the filters and amps. Signal flow is Synth, Filter, Ensemble, Formant Filter, Chorus, and Mixer. 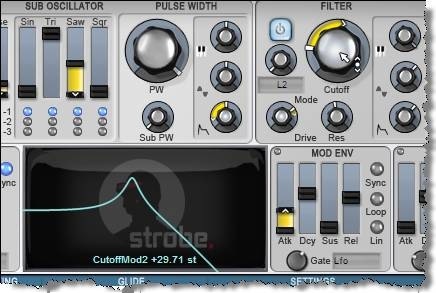 LFO, Ramp, and Mod/AMP Envelopes are very similar to those in Strobe. Even though this is billed as a string synthesizer, you can also use it for generating a wide variety of sounds such as leads. The formant filter is especially cool. It’s a three oscillator subtractive synthesizer with dual filters/waveshapers that also allows for analog FM synthesis using audio-rate modulation. While you can use it to create analog synths sounds, Cypher really excels at exotic, abstract, and gritty in your face textures. Cypher is the most complex entry in the lineup and might be a bit intimidating at first. The good news is that DCAM: Synth Squad comes with both a Quick Start and a 110 page Operations Manual PDF format to help you out. 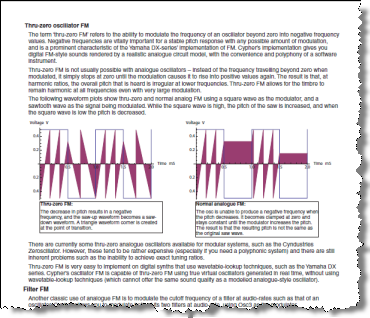 The Operation Manual is extensive, very well written and not only covers how to use the synthesizers, but also describes the theory behind the synthesis at hand. This being the case, I’ve linked to the manual at the bottom of the post so you can dig into Chapter 4 to learn more about the intricacies of analog FM. As I mentioned, Fusor is a sound design rack to hold three instances of any combination of the Strobe, Amber, or Cypher. Fusor also includes digital FX, global modulation capabilities, as well as a step-sequencer/arpeggiator. The effects are also modeled! FX included are Overloud Breverb, compression, filtering, chorus, overdrive, gate, EQ, EQ-Filter, Compressors, Delay, Phaser, Flanger, Chorus, Ring Mod, TinCan Verb, Filter Mod, FreqShift, BitCrusher, Drive, Freezer (granular buffer-looping/freezing), X4 Quad FX (4 bands of the same effect running in parallel). 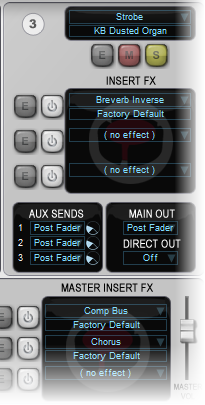 Effects can be used as insert FX for an individual synth, or as Master FX to save on CPU load. This is very similar in concept to working with a hardware workstation, such as a Korg M3. At the top of Fusor, there are 6 performance knobs that can be MIDI mapped (along with most other controls), to parameters within Fusor and synths in the rack. One of my absolute favorite features of Fusor is the Animator, a step-sequencer/arpeggiator that can also be used as a modulation source for synths in the current Fusor preset. 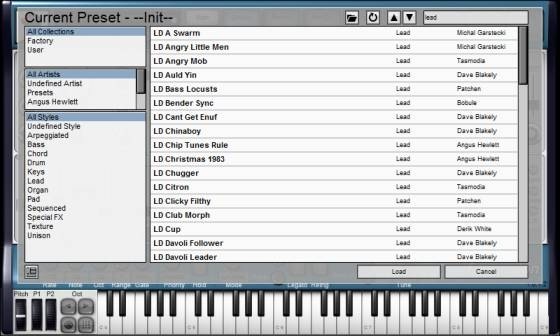 Animator is simply one of the best built-in step-sequencer/arpeggiator’s I’ve seen and is loaded with options. There is a entire multi-tabbed page devoted to Animator with tabs for Pitch/Vel/Gate, Shift/Duration/Repeat, and Mod Value/Mod Glide. There are 12 pattern memories. There is even a modulation matrix. It's deep. The KeyMap window pane allows you to quickly create splits and layers and map instruments to the Animator. FuseMod is A modulation matrix similar to TransMod and and it allows synths to modulate each other’s parameters as well as parts of Fusor. FusMod has 4 LFOs, and 4 envelope followers that are hard-wired to audio sources. Even though there are three synths in the SynthSquad, they share some common user interface elements. This strategy really cuts down on the learning curve as once you learn the methodology for a set of parameters, you can apply the same technique it to all three synths. Each synth includes a performance controller. I really like this feature on software synths as I often do sound design using nothing but my laptop with QWERTY keys so being able to use a mouse (or Wacom Tablet) to replicate pitch wheel, modulation wheel and aftertouch is very handy. 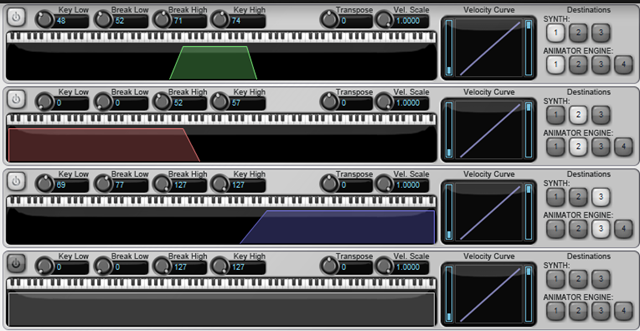 You can also jump up and down octaves and trigger different velocities depending on where you click on the key. All the synths and Fusor use a common preset selection system. Click on the name display to pop-up a menu system for preset selection. You can use the next and previous buttons to walk through presets. 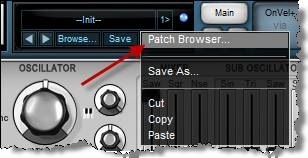 Next to the Save button is a menu option that lets open a patch browser. The patch browser allows you to browse by banks, categories, and artists. You can also search for a sound. TransMod is the modulation system common to all three synths. It's really intuitive and one of the best approaches to modulation I've ever used. There are 8 modulation slots. Simply click on a slot, then set the modulation depth by dragging outer rings our outer slider bars. There are three parts to a TransMod slot. Upper, Middle and Lower. The scaler is by default set to 1 meaning there is a 1:1 correspondence between the source and destination. There are a whole slew of scalers available. One example is that you can apply random scaling to a modulation source. Perf1 and Perf2 controllers are by default set to Mod Wheel and Aftertouch respectively. You can override these settings. At the center of each synth is a context sensitive visualizer. Simply mouse over an interface element, say, the Filter, and the display will change to show the filter shape. The display updates in real-time so if the filter was being modulated by an LFO, you'll see the shape change. Awesome! This is similar in concept to Future Audio Workstation's Circle, but instead of adding visualization for each interface element, this centralized context sensitive approach saves real estate. This means you don't see all the visualizations for all controls at the same time but this is not an issue since it only take a second to mouse over the element you want to see. 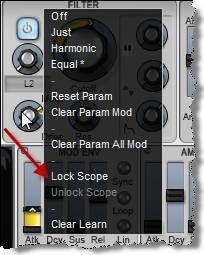 If you right-click on an interface element, you can use the "Lock Scope" menu item to lock the visualizer display to this element regardless of your mouse position. Visualizer really stands out when used to view the oscillator waveform. For me visualing feedback for the oscillators waveform shape makes it really easy to understand the effects of the parameters as you sculpt the sound. In the past when programming analog modelled synths I've actually plugged an oscilliscope VST in the device chain just to see what I'm doing. Synth Squad's integrated visualizer allows you to see the waveform shape, again in real-time, as you edit it and is simply a fantastic feature and a time saver. For example, below you can see the effect of noise on a waveform. And in the next illustration, you can see the result of adding some "Sin" wave to a saw wave. Brilliant! In the screen shot below, you can see that I've hovered over the modulation slot for the Perf1 (Mod Wheel) and all the modulation depths for this modulator appear in yellow. This visual reference system makes it really easy to see how factory patches were constructed and will help shorten your sound-design learning curve with Synth Squad. DCAM: Synth Squad comes with a moderate number of presets. I expect with so much sonic horsepower that DCAM: Synth Squad will attracth a loyal following and that between FXpansion, third parties, and the community we’ll see even more presets in the near future. Each of the three synths has their own library of sounds, as does Fusor. Fusor presets make use of effects, splits, layers, step-sequencing and Arpeggiation. 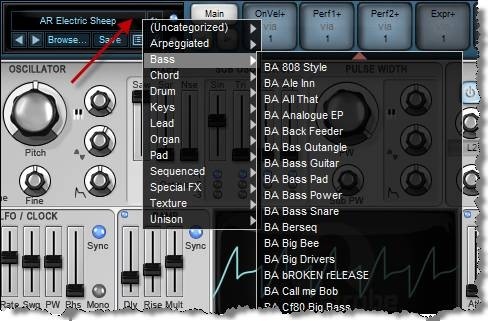 There is plenty of variety in the presets that will allow you to use the package right away in your productions – and for you sound designers out there, will help you get your mind around programming your own presets from scratch. I used all synths plus Fusor quite heavily for a number of weeks from within Ableton Live 8. They are very stable and sound fantastic. I used them in various configurations – Fusor plugged into Ableton Live hosting Strobe, Amber and Cypher; individual synths plugged into Ableton Live + Live effects. Each synth has it’s own character can be used to either compliment other tracks, or cut through the mix – especially in the case of Cypher. Using Fusor is a bit more like using a synth workstation – you know like a Korg Triton or M3 in combi mode. If your new to synthesis this is the way to go as presets load multiple synths with effects. When plugging individual synths directly into Live (or a compatible host) you might be underwhelmed at first. It’s a bit like going into a Korg M3 workstation combi, soloing one synth then turning off all of the effects. For sound designers, this has the benefit of allowing you to choose just the elements you need to achieve your desired result. This is a more surgical approach allowing you to choose the complexity required and make your own decisions about how you want to integrate components into your host application. I like this flexibility. The only downside with DCAM: Synth Squad is CPU usage. The fabulous real-time modeled circuits put quite a load on the old CPU when compared to other VSTs in my rig. Of course in Live I can use Freeze Tracks to remedy this once I’ve sequenced a track. Also, keep in mind this is a V1 product, and although extremely solid, I’d imagine FXpansion will continue to optimize the code for performance. Three great sounding modeled synths, a rack environment, built-in FX, a stunning context sensitive visualizer and the feature laden Annimagor make DCAM: Synth Squad a great value at $249 US. This is especially true when you consider the 3 year effort, flexibility, quality, and sonic range. For the producer, Fusor offers a great “workstation” like interface to a strong set of synth modules and presets. For those who like to “tweak”, the performance knobs in Fusor will allow you change sounds without having to get into preset programming. When you are ready to dig into sound design – Strobe, then Amber, then Cypher offer an increasingly complex set of synthesizers with enough common user interface elements that you’ll be able to carry knowledge forward from one synthesizer to the next. For the sound designer, DCAM: Synth Squad is deep and rich and offers a huge variety of possibilities and sonic range with an extremely intuitive interface. Once you’ve used the visualizer and the modulation system you’ll wonder how you lived without them. Bottom line, if you are looking for synthesizers with serious analog character that break the mold and don't try and emulate the workflow and layout of synths of yesteryear, DCAM:Synth Squad deserves serious consideration. While there is no demo version yet, sources at FXpansion told me one is on the way. Till then checkout the links below for more info, audio samples, and video clips. Although I did receive and NFR copy of DCAM: Synth Squad I was not otherwise paid to write this review and don’t benefit from sales. As always I write about products that I either personally find interesting, and/or actually use, and/or will be of interest to Modulate This readers. DCAM has great synths. I love the visualizer and the modulation system, especially the FuseMod and Animator.. You can get really crazy things with those thigs!